Abu Dhabi – 31 May 2017 – Finance House P.J.S.C. 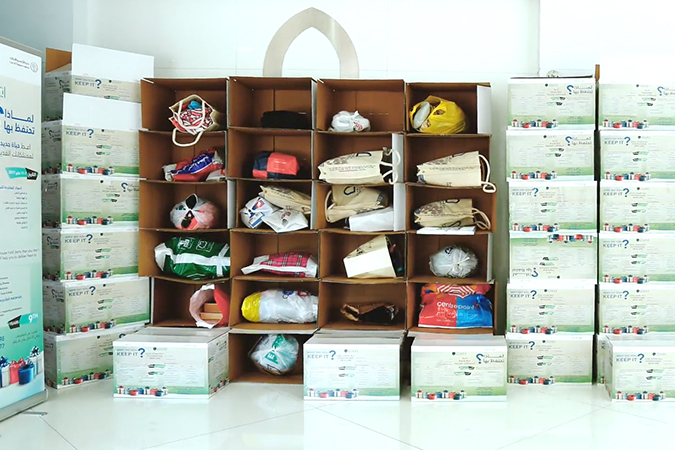 (FH) has built on the “Year of Giving” initiative and facilitated community donations through the placement of 100 donation boxes across the entire group’s network of branches. Encouraging community participation and involvement, the campaign focused on gathering unwanted and/or donated items and redistributing these collectables to recipients that stood to benefit from utilizing them. Commenting on the collaboration, Mohammed Abdulla Jumaa Alqubaisi, Chairman of Finance House said: “We are proud of hosting over 100 donation boxes across our group’s branches within the UAE. Being able to expand the network of available venues for people as well as enable our staff members to participate in such a pivotal humanitarian movement, is a milestone in itself”. With thousands of contributed items gathered via Finance House’s branches over the course of 5 days, which was the campaign duration; customers, employees and generous individuals alike have all collectively come together and further allowed for the success of this initiative. “Always looking further than what has been set. A determined individual will have a significant impact, but a unified team will collectively always have a multiplied outcome than that of one individual alone,” concluded Alqubaisi.